Save money and stay organized by planning and documenting all of your remodel, interior design, and landscaping projects. 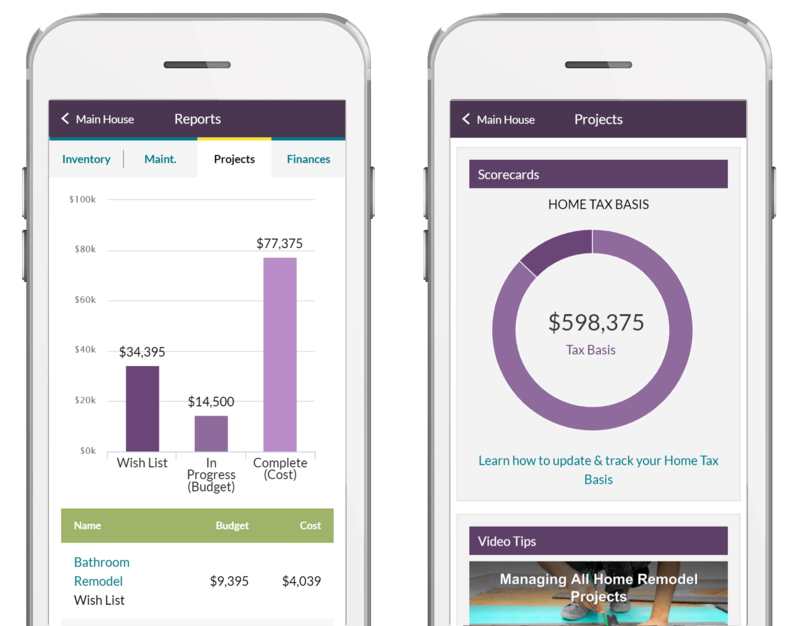 HomeZada helps you create a budget for all the items on your project, regardless of whether you DIY or hire a contractor. Track all your costs, receipts and invoices to compare against your budget. 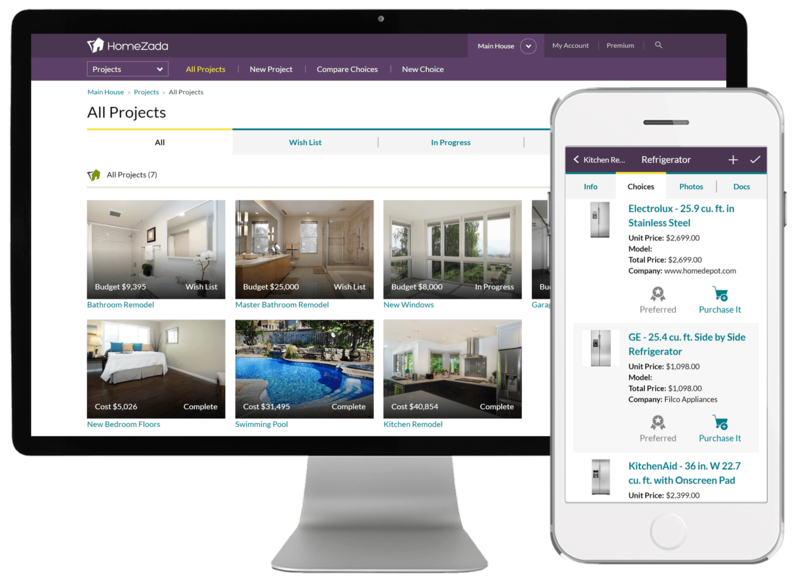 Take before, during and after photos as well as manage an action list of tasks to keep you or your contractor on schedule with everything that needs to get done to complete your project. 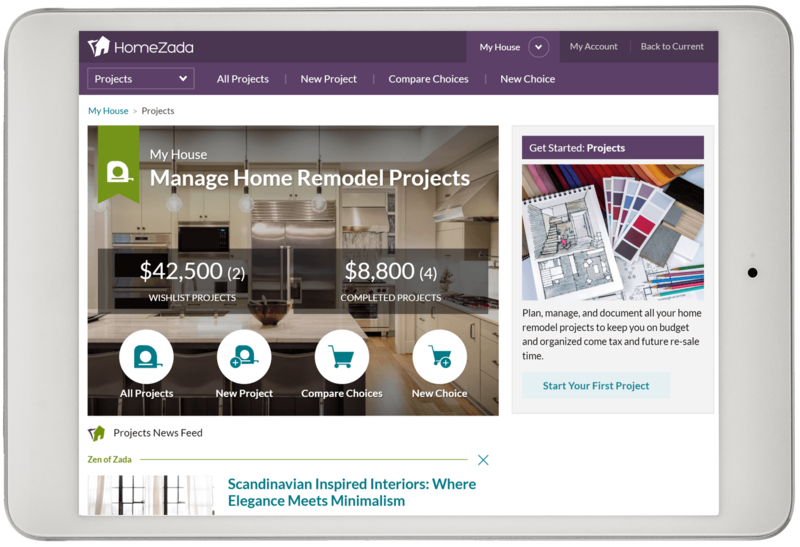 HomeZada provides templates for over 40 common home remodel projects. Create all the projects you are considering and use shopping choices to research and save different product and brand options. This gives you high, medium and low budgets that are realistic based on your decisions over what you want and need. Many remodel projects are considered financial investments into your home. It is important to keep great financial records of all these projects for any tax planning purposes or the selling of your home. 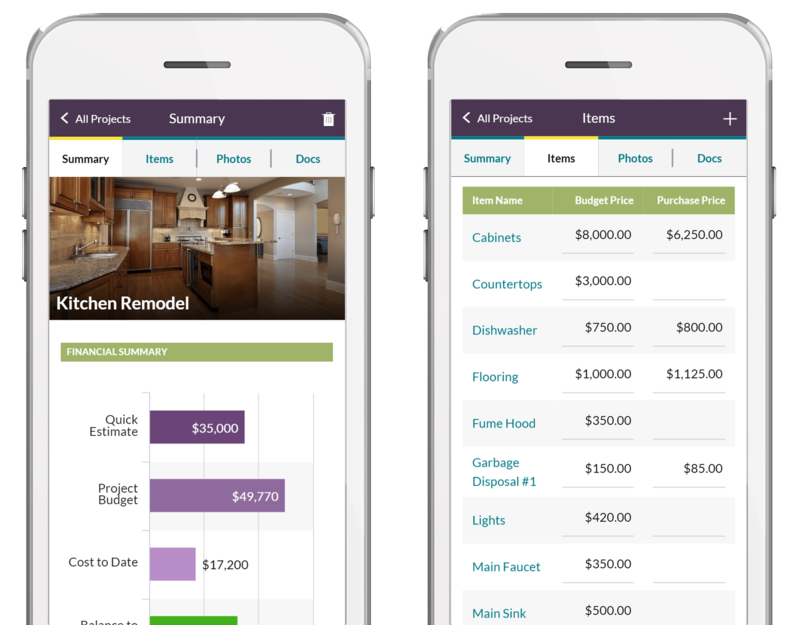 Multiple dashboards and scorecards provides financial visibility into all your previous remodels. Keep before and after photos, as well as warranties, permits, owner manuals, etc. Learn the basic steps to managing your projects with our home improvement projects infographic.